But hear me out, okay? 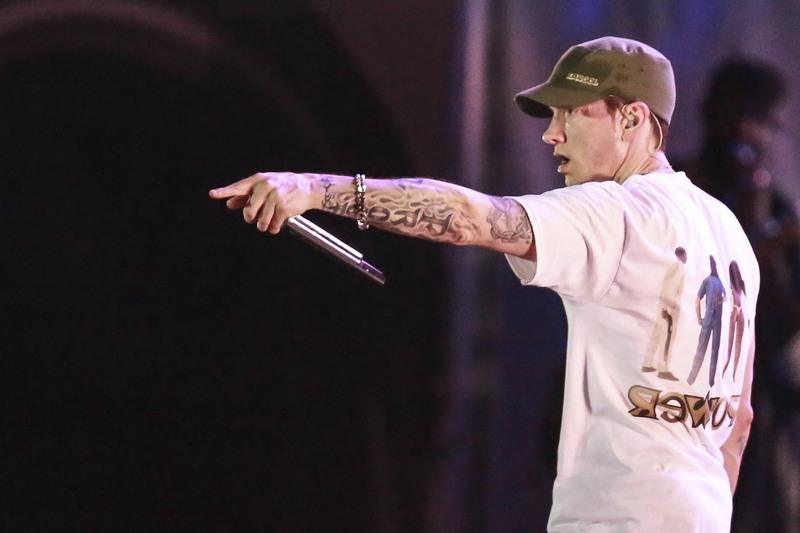 To briefly summarise, Eminem and Machine Gun Kelly – real name Richard Colson Baker – have been involved in an ongoing feud for weeks now. 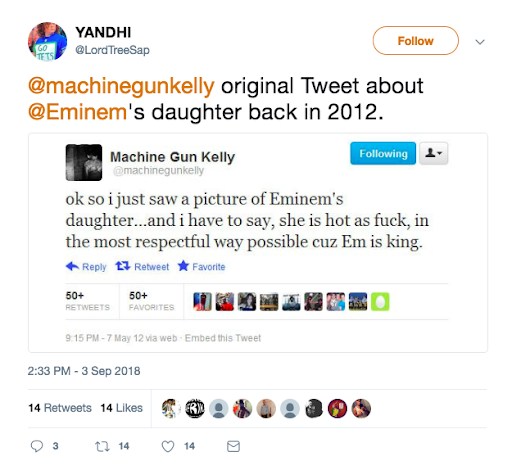 It seems to have all started when MGK called Eminem’s daughter, Hailie, ‘fit as f*ck’ in a tweet back in 2012. Clearly, Em did not take too kindly to this (not surprising as she was only 14 at the time) and he released diss track Not Alike last month (August). 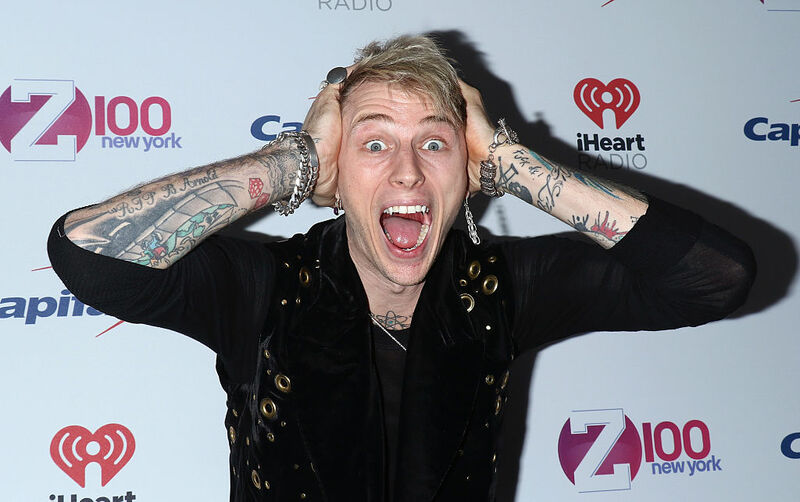 MGK wasn’t letting him off that easily though and immediately responded by releasing diss track Rap Devil, which I assume is in reference to Em’s own Rap God. In it, he calls Em ‘crazy’ and mentions his daughter Hailie again. I mean, come on mate, maybe you should leave that one alone now? He isn’t taking any prisoners is he? He even insults his man-bun at one point, bit harsh. So now that you’re up to date with the timeline of said feud, let’s get to the juicy bit. It appears that MGK might actually not be that far off thinking he’s Marshall Mathers, as Em suggests. In fact, it would appear that he is (or was) actually a massive fan. I’m an Eminem ‘Stan’ for sure. 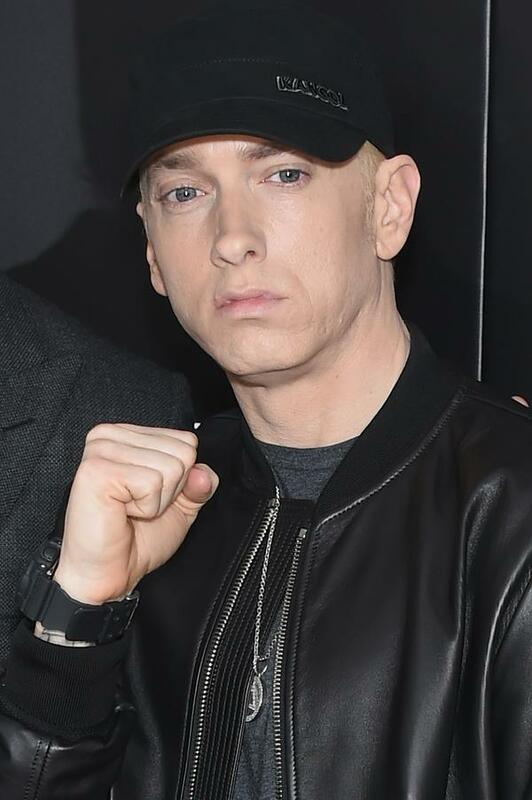 Now, if you’ve been hiding under a rock for the past decade or two, Stan was one of Eminem’s hit songs back in 2000. In it, a delusional fan sent letters to the rapper and became so enraged when he didn’t reply that he drove his car off a bridge with his pregnant girlfriend in the trunk. So maybe MGK is just resentful that Em never noticed him as a fan and is now responding in the much less murderous form of diss tracks? Or maybe this is his elaborate way of getting his idol to finally notice him? Hey, people have done stranger things! Who knows, but if this carries on I reckon we’ll still be hearing insults about man buns all the way into 2019.